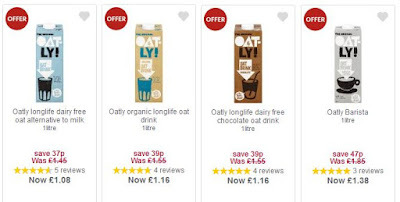 The Vegan Magpie: Oatly offers including Barista! Hello! 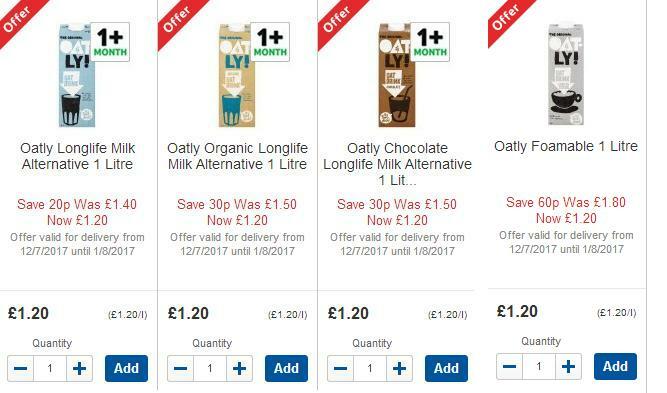 I have Oatly offers from far and wide! 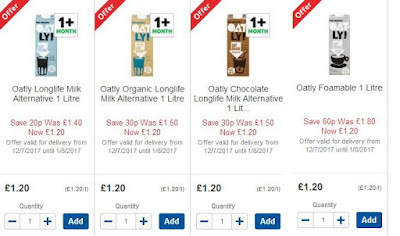 Ok, 2 shops, but it includes all 4 longlife milks! All 4 are reduced to £1.20, saving you up to 60p a carton if you opt for Barista! These offers are available until 1st August! Available online and in store. 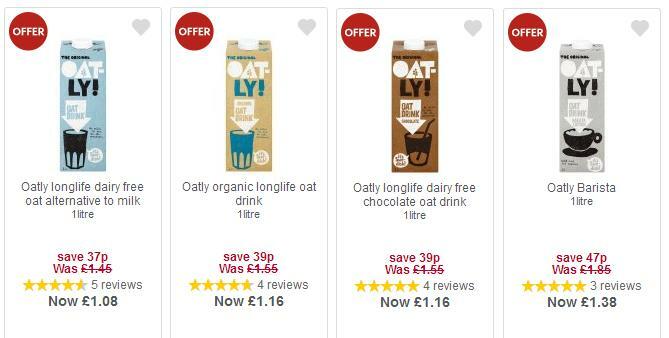 Original is just £1.08, organic and chocolate are £1.16 and Barista is £1.38, saving up to 47p a carton! Available until 8th August! Available online and in store. So if you can shop in Tesco, this is the best deal, but if Waitrose is your local, this is a great deal too!